Theresa P. Ahlstrom is currently Partner in Charge-Independence within the firm’s Risk Management function. Theresa has more than 30 years of experience with KPMG and was admitted to the partnership in 1993. 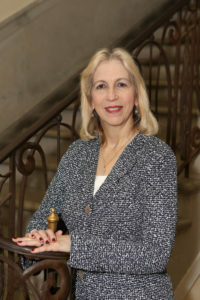 Theresa’s numerous roles over her career include serving on the firm’s Board of Directors from 2010-2015, Long Island Office Managing Partner from 2006-2011, SEC Reviewing Partner, Audit Professional Practice Partner, Audit Quality Support Partner, Employee Benefit Resource Partner, Primary Campus Recruiter, and National Training Instructor. As a lead audit engagement partner, Theresa served clients principally in the not-for-profit, healthcare, biotech, consumer and industrial market industries. After 26 years in the Audit practice, Theresa assumed the role of an Advisory Risk Management Partner (2008 through 2013) where she was responsible for internal quality control and risk management processes and initiatives for all Advisory engagements in the service lines that she supported. Theresa has been inducted into the YWCA Academy of Women Achievers and Long Island’s Top 50 Women Hall of Fame. She was the recipient of the Long Island Fund for Women and Girls Achievers Award in 2003, the St. John’s University Outstanding Alumni Achievement Award in 2008, and the Molloy College St. Catherine of Siena Medal in 2014. Throughout her career, Theresa has been very active in the Long Island business community and involved with numerous charitable organizations. 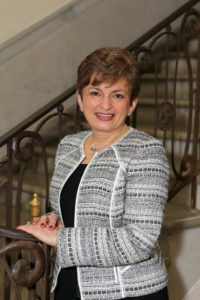 She currently serves on the Board of Trustees of Molloy College and The KPMG Foundation. 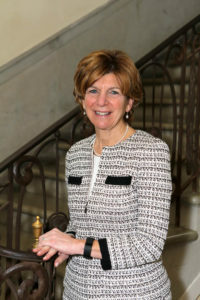 Sallyanne K. Ballweg is the Senior Executive Vice President of The First National Bank of Long Island, a full-service commercial bank which provides a broad range of financial services to individual, professional, corporate, institutional and government customers through its thirty-seven branch system on Long Island and in Manhattan. Reporting directly to the Bank’s President and Chief Executive Officer, Sallyanne manages the Bank’s commercial lending, retail banking, and investment management businesses. She also serves in the capacity as Senior Executive Vice President and Secretary of The First of Long Island Corporation (“FLIC”), the parent holding company for the Bank. Ms. Ballweg joined the Bank in 2007 after a twenty-nine year career at JPMorgan Chase where she held various senior responsibilities within the Long Island and Queens markets for commercial banking and corporate lending. She earned her M.B.A. in Finance and B.S. degree in Economics from Hofstra University. In 2010, Sallyanne completed an advanced banking certification from the American Bankers Association Stonier National Graduate School of Banking. Sallyanne is a devoted volunteer for a broad array of charitable and civic organizations. She serves on the Board of Directors for the YMCA of Long Island and is a member of New York Bankers Association where she works on the education committee. Ms. Ballweg has been recognized by Long Island Business News as one of Long Island’s “Top 50 Women” and was inducted into their Hall of Fame. 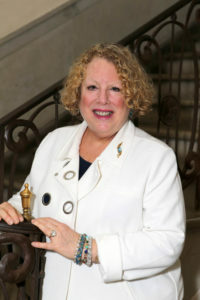 In 2010, Sallyanne received the “Women of Distinction” award by the State Assembly for the State of New York in recognition of her achievements. Linda Chan is VP, Digital and Commercial Solutions, NBTY. In this role, Linda’s passion is to drive innovation and modern technology for our customers and consumers to become recognized as the global leader in wellness products. She enjoys organizational development and is privileged to work with a talented and diverse team. In this role, Linda is proud to be responsible for a team that delivers value through business and technical capabilities. She is extremely passionate about bringing business solutions, improvements and competitive advantage through technology. Working in the Information Technology field for more than 20 years, Linda has experience in a variety of industries in both the private and public sectors and joined NBTY in 2014. Prior to NBTY, Linda was at Veeco Instrument where she provided the leadership, management and the vision for Information Technology. Linda is the co-lead to the LISTnet CIO Council. The council has been very successful in providing a forum to identify challenges and issues in Information Technology and setting an agenda of activities to facilitate learning among participants. In addition, the council fosters the continued improvement of the Information Technology field by encouraging open dialogue, continuing learning and academic scholarship. Linda is also an active participant of ATHENA Women’s Leadership awards on Long Island every year. 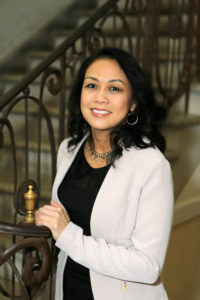 She is a 2012 and 2008 recipient of Long Island’s Top 50 Most Influential Women in Business Award. Linda is a member of the steering committee for NBTY, WOW (Women of Wellness) and is excited in the journey and involvement in the group. Women of Wellness, NBTY’s Women’s Affinity Group, will be an innovation hub that promotes networking, educational and research opportunities to provide the organization with the necessary resources to maximize engagement through the recruitment, advancement, retention and growth of women professionals. It is a group of Associates linked by a common interest and purpose working to promote diversity and inclusion by furthering the Group’s objectives. Linda was an active member of the CapOneSource, an alliance of members and providers that share in the vision of reducing costs and increasing global productivity by aggregating demand and establishing common, innovative solutions. She currently serves as a member of the board of directors for LISTnet. She was presented with the mid-Market CIO Leadership award in 2007 and served on the advisory board for CIO Decisions Conference. 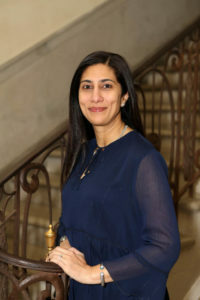 She earned a master’s degree in business computer information systems from Hofstra University and a bachelor’s degree in psychology from the State University of New York at Binghamton. Linda enjoys promoting Information Technology as an exciting career and has acted as a mentor in the Columbia University mentoring program. Linda has been published in the Milieu Long Island Magazine – August 2014 edition. She enjoys spending time with her husband and three children. 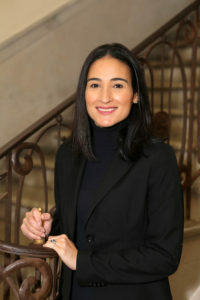 Prior to joining Farrell Fritz, Domenique was a shareholder at Littler Mendelson, P.C. Domenique is a 1990 Dean’s List graduate of the State University of New York at Stony Brook and a 1993 graduate of University of Notre Dame Law School. 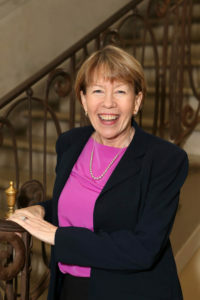 At Notre Dame she received the Kraft W. Eidman Award presented by the American College of Trial Lawyers f or Excellence in Trial Advocacy and was the Lead Notes Editor of the Journal of College and University Law. Domenique is a member of the New York State Bar Association. She is admitted to practice in New York State, the District Courts f or the Southern, Eastern and Northern Districts of New York and the Circuit Court of Appeals f or the Second Circuit. In 2013, Domenique was appointed to the advisory board of Make-A-Wish Metro New York. She serves on the Work/Life Corporate Committee of the NAMC and is a founding member of the American Heart Association’s Go Red for Women Committee in Queens. She previously served on the Executive and Program Committees of the Nassau County Museum of Art’s Women’s Executive Network. Domenique was selected by her peers f or inclusion in The Best Lawyers in America® in 2013 and 2014 in the field of Employment Law – Management. She has been recognized by Long Island Business News as a Who’s Who in Intellectual Property & Labor Law (2011, 2009 & 2007) as well as a 2011 “Top 50 Most Influential Women in Business” honoree. She was selected by The Queens Courier and Queens Business Today as a 2008 honoree at the Sixth Annual Top Women in Queens Business Awards Dinner. She was recognized by Long Island Business News as a 2007 “40-Under-40″ award recipient for her business leadership and community involvement. Roz is well known nationally and locally for her small business expertise and her philanthropic activities. She has served on multiple national, regional and local boards of directors and been honored by numerous US Presidents & NYS Governors among others. On Long Island, Roz currently serves on the boards of the LI Community Foundation, AHRC Nassau Foundation, Hempstead Workforce Investment Board. She is proud to be the first Athena LI Woman Leadership Awardee. She is a lifelong Long Islander. Adam Losner is the Vice President, Corporate Audit and Chief Audit Executive for Broadridge. In this role, he is responsible to report objectively on the strength of the company’s internal controls and to set up a program of risk based internal audits of the company’s highest risk processes. Adam also set up the PMO for the company’s Enterprise Risk Management initiative. He leads the company’s corporate audit department of 13 professional . Adam was formerly the President and Founder of Finance Technology and Controls (FTC) Consulting, a firm specializing in Risk Management, Internal/IT Audit and IT Compliance to financial services firms. Previously, Adam held roles as Chief Financial Officer and Chief Audit Executive at the Securities Industry Automation Corporation (SIAC) where he was responsible for all of the Corporation’s auditing activities. 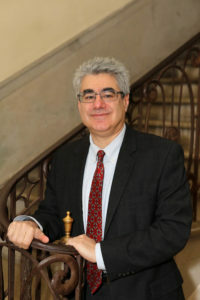 In these roles, he led the Corporation’s Sarbanes-Oxley 404 compliance efforts, and introduced COSO ERM and COBIT risk management frameworks to the Corporation.Prior to joining SIAC, Adam held various IT Audit and Systems Management positions in the United States and the United Kingdom at Long Island Savings Bank, Lex Service and Marathon Oil. Adam has worked closely with the Institute of Internal Auditors (IIA) on its International Advanced Technology Committee; and as an Internal Audit activity quality assurance assessor. Adam is a frequent speaker at various conferences and webinars, as well as a contributor to audit and control-related publications. Adam is currently a member of the selection committee of the ATHENA women’s leadership awards on Long Island. Adam holds the designation of CIA, CISA, CGEIT and CISSP and graduated MBA from Columbia Business School. Humera is a managing director in KPMG’s Management Consulting practice, serving the Financial Services industry, specializing in business intelligence, data and information governance, IT process and controls design. Her current role is within the Firm’s Risk Management group, which is responsible for internal quality control and the development of policies and procedures to effectively manage the risks associated with the services provided by the Firm. Humera has over twenty years of experience in the accounting, finance, and technology fields, assisting clients improve the effectiveness and efficiency of their risk systems, data and management information systems, improve data quality and governance, and enhance reporting and analytics. Humera is vocal advocate for women in the workplace. In addition to being the co-chair of KPMG’s Network of Women for Long Island, she leads a number of women’s initiatives for her Firm. Humera serves as the KPMG liaison for the Women’s Bond Club, taking a leading role in promoting KPMG’s presence and participation in the club. Humera spends time with KPMG’s rising female professionals, serving as mentor to a number of them through the firm’s mentoring program. Apart from women’s initiatives, Humera serves on the board of directors for Miracle Corners of the World, an organization dedicated to empowering youth leadership in Africa and on the board of trustees for Adelphi University. She is also an advisory board member for the Northport High School Academy of Finance Committee and a member of the Allocations Committee for the United Way of Long Island. Director of Human Resources Strategy and Planning, Henry Schein, Inc.
Carol Rodriguez-Bernier is the Executive Director, Human Resources Strategy and Planning at Henry Schein, Inc. In this role, Carol is responsible for global strategic Human Resource initiatives and projects across the Company. Carol has twenty years of Human Resource experience in healthcare, high-tech, financial services, and global defense industries. Her career has also included leading cultural programs and change management; establishing talent management plans; and partnering with leadership to improve communication and recognition across various global organizations. Carol is a SHRM-SCP and SPHR certified professional. She lives in the town of Northport with her husband and two children. Vice President, Finance, The Estee Lauder Companies Inc.
Deborah Schiff is the Executive Director & Senior Vice President for Strategy and Business Development for the North Shore-LIJ Health System. In this role, Mrs. Schiff is responsible for building the ambulatory network through physician alignment and ambulatory site development. 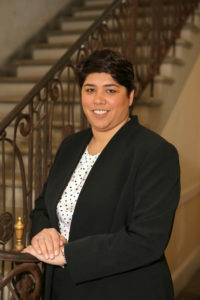 With more than 25 years of experience developing and implementing strategies that focus on service line growth and development as well as physician alignment, she has spent the last several years focused on building a network of providers and facilities to ensure the provision of ambulatory care to the more than seven million people in the health system’s coverage area. Mrs. Schiff is actively involved in the community serving on the board of directors of the Girl Scouts of Nassau County, the Health and Welfare Council of Long Island, the Energeia Partnership and Carol’s Cause, an organization that focuses on gynecologic cancer research. 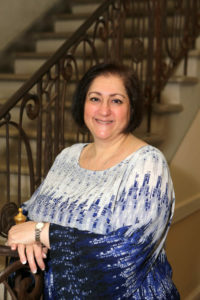 Mrs. Schiff holds a clinical degree in nursing from Queens Hospital Center School of Nursing and a bachelor’s degree in health administration from St. Joseph’s College. Mrs. Schiff is married to Dr. Russell Schiff, a Pediatric Cardiologist with the North Shore/LIJ Health System. They have four children, a son-in-law, daughter-in-law and one grandson. Jennifer is a manager in The Estee Lauder Companies’ Process Development Department serving the Personal Care Industry, specializing in cosmetics, skincare, toiletries, hair care, sun products and fragrance. Jennifer has a Bachelors degree in Chemical Engineering from Villanova University and a Masters of Science in Chemistry from NYU Polytechnic. She has fifteen years of experience in the engineering field primarily focused on the scale-up of products from lab to large scale manufacturing worldwide. Her career at Estee Lauder has also included being an integral part of the startup of bio fermentation in the pilot lab as well as in manufacturing, being the R&D-England liaison between the chemist s/engineers and their manufacturing plant, taking on a lead role in the SAP Integration of R&D systems, and studying new process technology which has kept Estee Lauder at the leading edge of technology. Jennifer has led the way for other females throughout her career. She was she was the first female engineer hired into the Process Development Engineering Department at Estee Lauder paving the way and acting as a mentor for the females who have followed. She was also the Inaugural recipient of the ATHENA Young Professional Leadership Award. 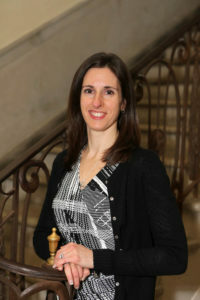 She has now taken on an active role in ATHENA Long Island and has also become a member of the ATHENA Selection Committee. Jennifer has become involved in the community as well. One main area of involvement over the last few years is with breast cancer awareness. She has joined Estee Lauder’s Breast Cancer Awareness Team and has participated in Making Strides Against Breast Cancer through American Cancer Society which not only help to raise awareness but also help to raise money for the cause. Jennifer has also participated in a number of other service activities including the St John’s Bread and Life Adopt-A-Family Program where she has helped for over 10 years with running the year end organization of toys and food donated for families in need. Jennifer has now begun to get her kids involved in the community by joining the Peanut Butter and Jelly Gang through her Parish Outreach Program to make sandwiches for the hungry while teaching her children about the importance of volunteering and giving back to others. Jennifer lives in Bethpage with her husband and four children.